Book are always a great source of inspiration, there’s always something new to learn. I believe we all know that, but there are books that are truly special, and the book I want to share with you today ranks at the top of my list. 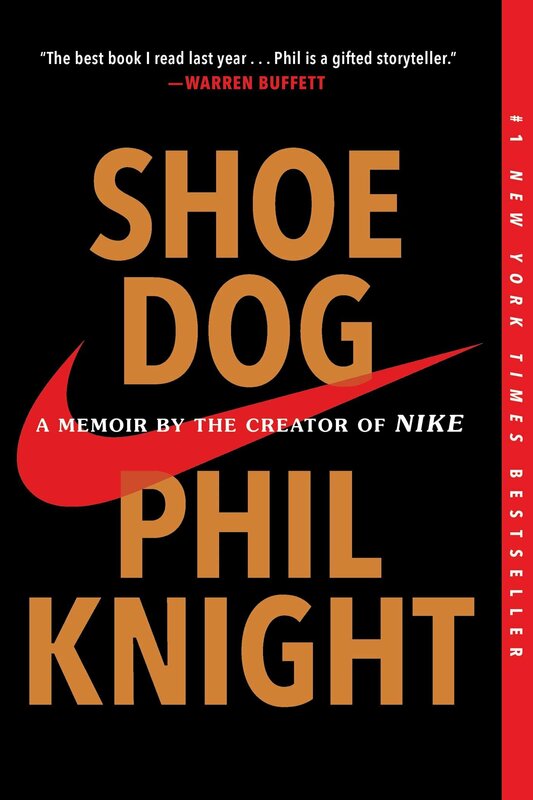 The book I am talking about is Shoe Dog: A Memoir by the Creator of Nike by Phil Knight and it’s a fantastic read, one of those you feel sad when you are getting close to the end. .. you are remember for the rules you break... The book, as the title says, tells the story of Nike. From the simple dream of Phil Knight to try to reproduce the same disruption the Japanese did in the camera industry but in the shoes industry. He believed he could beat the Europeans, Adidas and Puma, by selling cheaper, but high quality running shoes. On top of that, Phil, was a runner, and his first partner was his running coach, who loved to tweak and improve shoes. Let's kickstart the Weekend with a book recommendation that I profoundly finished a couple days ago. I wasn't into books until I had more free time on my hands; I also forgot how important it is to read and educate yourself through lecture instead of curated content.